A range of products & services for your limited company to aid in compliance to the Companies Act; We carry a range of company seals, registered office brass plates and a collection of combined company registers for all compnat types including Private Company Limied by Shares, Public Limited Companies, limited Liability Partnerships and Companies Limited by Guarantee. A major element introduced by the Money Laundering Regulations is that all relevant persons (sole traders and firms in the regulated sector) must be supervised in their compliance with the Money Laundering Regulations. 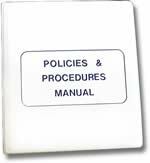 Therefore, all relevant persons must have a supervisory authority, which may issue guidance and must create and monitor their own specific policies, controls and procedures. Obliged entity firms must adopt these specific management policies, controls and procedures to deter, detect and if necessary report suspicious activity, we have drafted guidance and tool kits for variuous sectors including accountancy, estate agency and high value dealers to help understand what you should do and help you with drafts from the tool kit to create what you actually will do. Whereas there is no set guidance of the style or content of forms and supporting documentation for supervision we have provided some suggested templates for your own use within these tool kits.